I am an independently licensed ​independent social worker providing clinical therapy / mental health services in the Des Moines Metro region. I completed my Masters of Social Work from the University of Northern Iowa in 2005. My areas of expertise include lesbian, gay, bi-sexual, transgender, and questioning concerns, post traumatic stress disorder and Veteran specific needs, depression, grief, anxiety, and addiction. Much of my career has been dedicated to providing individual therapy and coordinating clinical programming in federal and non-profit settings. I rely heavily on a person-centered approach and finding internal motivators for change. I enjoy the central tenants of Buddhism and other spiritual journeys we seek to find meaning and purpose in life. I'm also actively learning and using an approach called Internal Family Systems. You can google this to see if it would be a fit for you. I believe we all have "parts" of our personalities that are either undiscovered or have become blended with us and this makes life confusing. I'm interested and passionate to discover theses sides to help people live more enriched lives. I completed the training course for EMDR related to the treatment of trauma in 2018. I have found this to be a remarkably impacting experience for those who have chosen to engage in this process and am excited for my journey to become fully certified. ​I am blessed to have been mentored by wonderful people who helped me embrace the capacity for change and resilience. It is an amazing experience to help others improve the quality of their lives and build relationships. I believe in the capacity for healing and hope in every person, even in the most difficult circumstances. ﻿The Addiction, Technology Transfer Network (ATTC) and the University of Iowa trained me in LGBTQ sensitivity for providers in 2009. I was also certified in Motivational Interviewing and Motivational Enhancement Therapy awarded by the Department of Veterans Affairs in 2012. I am an advocate of LGBTQI civil rights and was nominated and elected to the Board of Directors of One Iowa in February 2015. While I no longer serve on the board, I'm eternally grateful for my time spent with One Iowa and specifically to Donna RedWing who further ignited my passion for having a voice and utilizing ones abilities to impact change efforts. Other interests include spending time with my twin toddlers and dedicating my life as a mom. 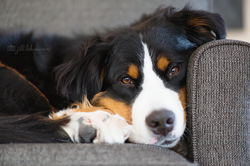 I'm interested in animal assisted therapy and have a love of Bernese Mountain Dogs and photography. I do have a good canine citizen (certified CGC) who does visit my office intermittently but not often.